He ridiculed the likely grand alliance of opposition parties as a "failed experiment in Indian politics", saying a campaign to give publicity to this idea is on. New Delhi: Asking BJP workers to campaign like farmers work at their land and cautioning the party against any complacency, Prime Minister Narendra Modi on Saturday told the cadre that they should rely on “Modi will come and deliver victory” and understand the value of organisation and not depend on their winning talisman alone to see the party winning the upcoming Lok Sabha elections. Seeds may be good, rains may arrive and everything else may be supportive but crop would not be good if farmers do not till the land, he said, adding that the party reached where it is due to “collective leadership”. PM Modi also launched an unsparing attack on his rivals, especially the Congress, saying they are joining hands as they want a “majboor” (helpless) government to do corruption while people want a “majboot” (strong) government that the only BJP can give. He ridiculed the likely grand alliance of opposition parties as a “failed experiment in Indian politics”, saying a campaign to give publicity to this idea is on. The fear of “chowkidar” (watchman), a reference like ‘pradhan sevak’ he often uses to describe himself, and his campaign against black money and corruption have led to a churn in politics, he said. Rivals are uniting against one person, he said. 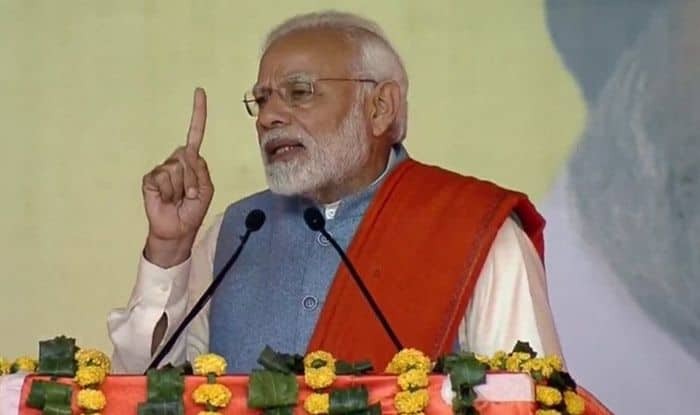 PM Modi’s remarks came on a day the Samajwadi Party and the BSP, bitter rivals for over two decades, announced in Lucknow their alliance for the Lok Sabha elections against the saffron party.